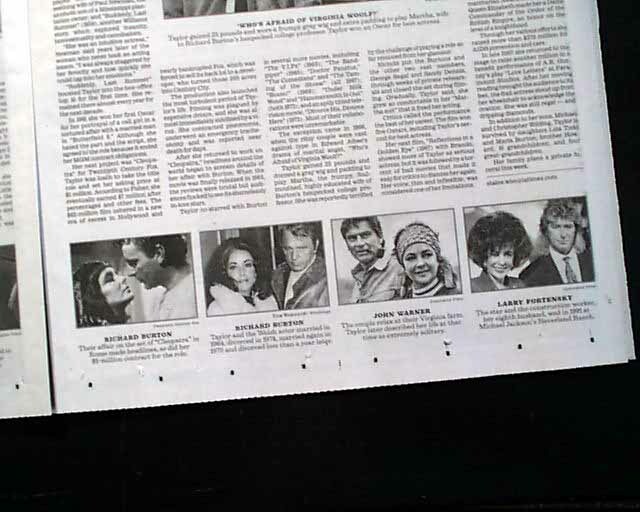 The top of the ftpg. 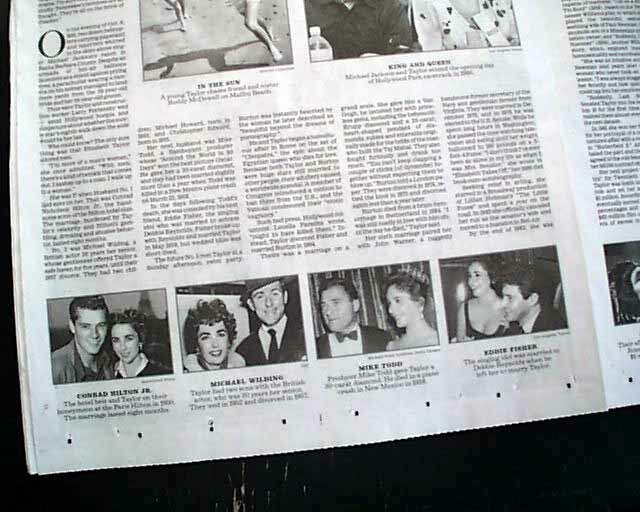 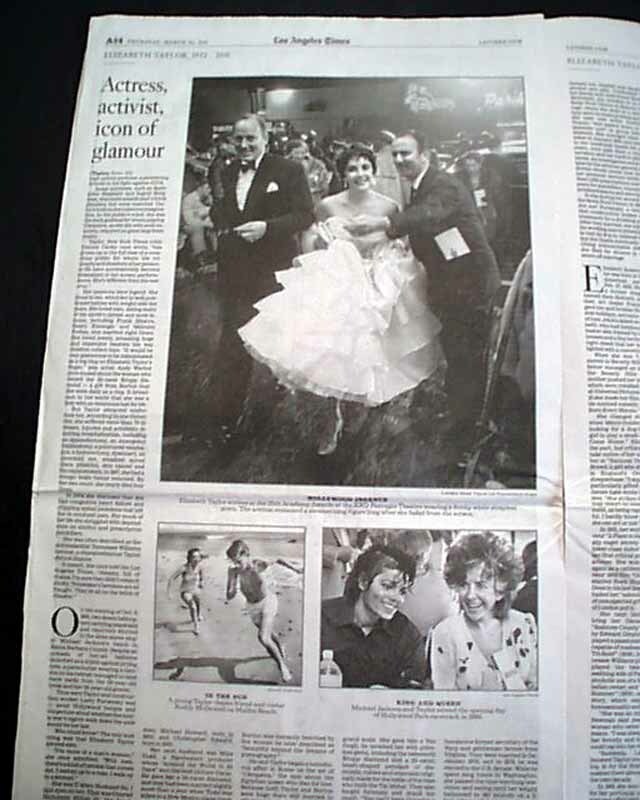 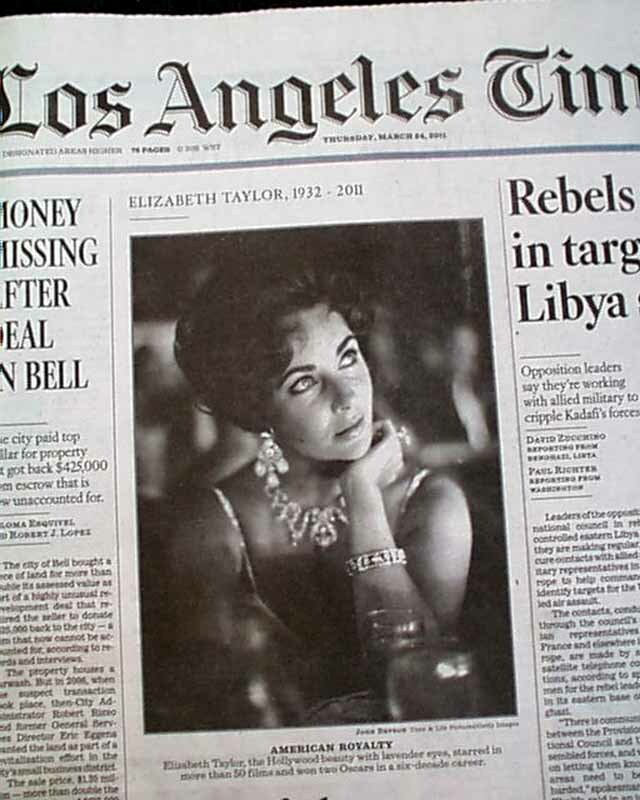 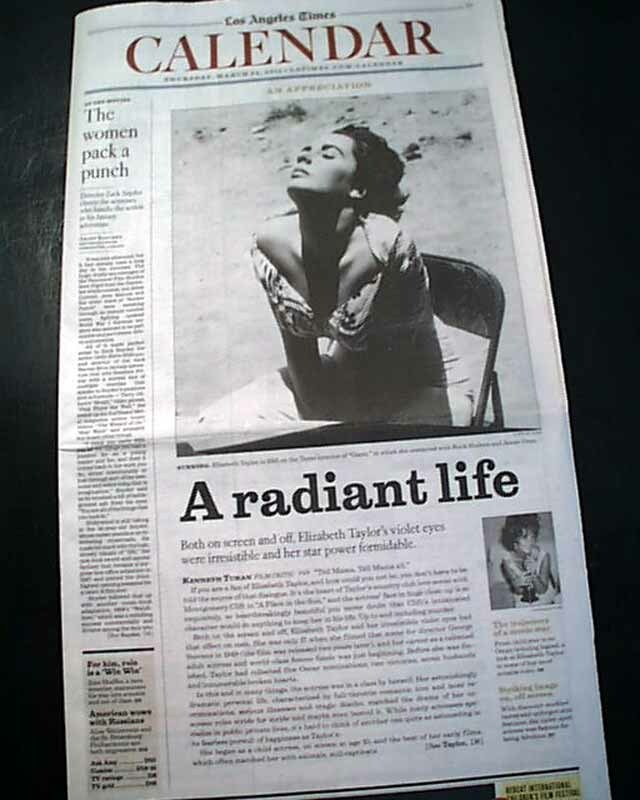 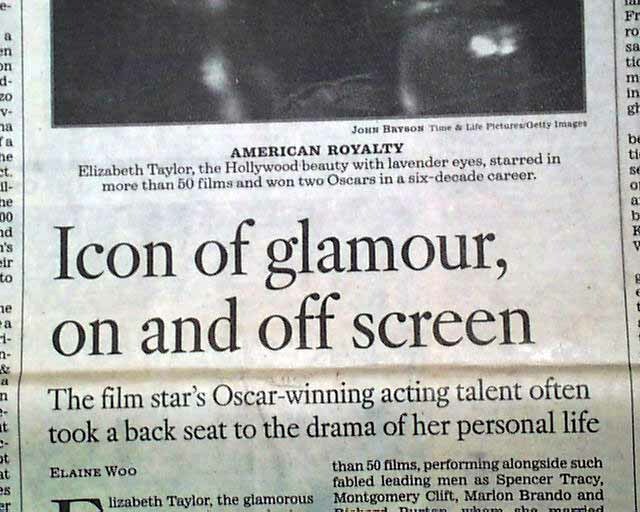 has a boxed section with: "Elizabeth Taylor, 1932 - 2011" "Icon of Glamour, On and Off Screen" "The Film Star's Oscar-Winning Acting talent often Took a Back Seat to the Drama of Her Personal Life." 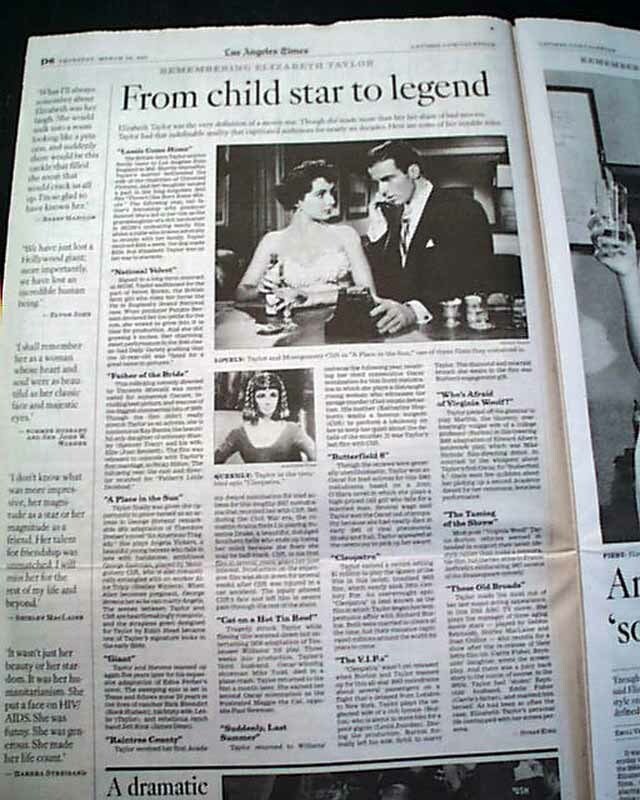 The Article carries over to take all of pages 14 & 15 and then with more on her on the ftpg. 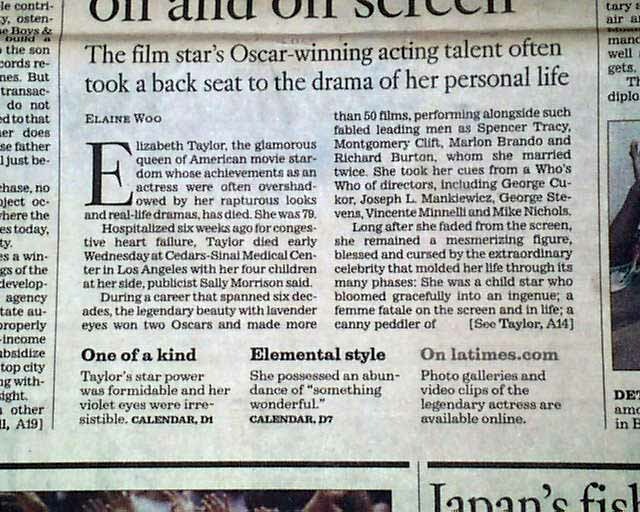 of section D. Nice to have this report in a newspaper from the capital of the entertainment industry. 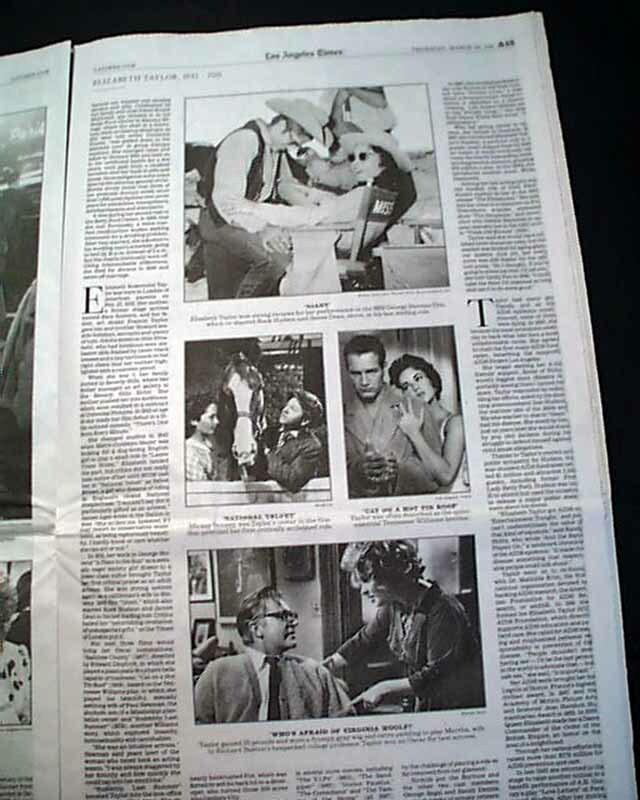 The complete sections A and D only with 38 pages, nice condition.